If you are still having trouble please visit our forum or Contact me. For a free compression/unzipping program, download 7-Zip, it's completely free and won't bother you with an upgrade notice everytime you use it. Alternatively, you can download Win-Rar, remember that you don't actually need to pay for Win-Rar! To use Win-Rar free forever, right click on the rar then click extract here. 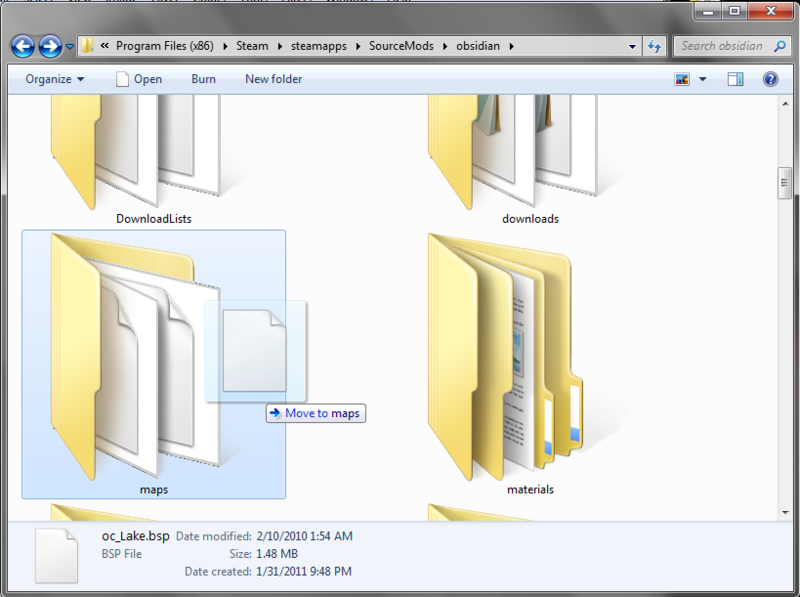 To install a map all you need to do is drag the map that ends with .bsp into your maps folder. 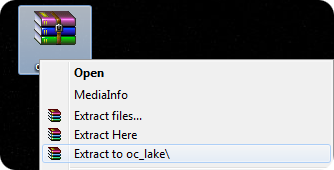 So, let's say I downloaded oc_lake, I used win-rar to extract the rar or zip, I then went to C:\Program Files (x86)\Steam\steamapps\SourceMods\obsidian then dragged oc_lake.bsp into the maps folder, then after that I went into Obsidian Conflict and played on the lake map! I hope this helps! Remember if you think the page could be more improved upon, please Contact me. If the folder has a file named info in it, do NOT install it in the maps folder, instead install it in the addons folder.